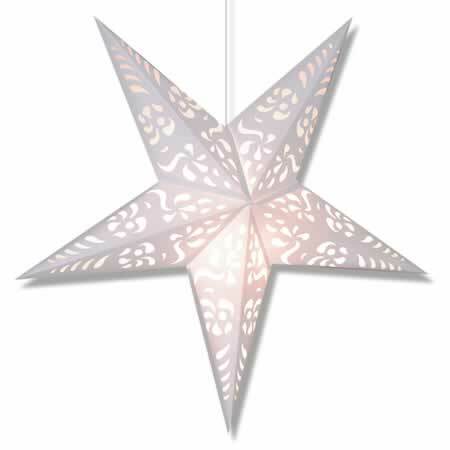 Purple Punch Star Lantern. A guaranteed best-seller! 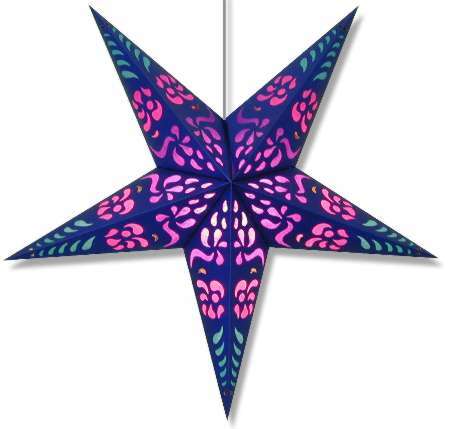 Deep royal blue star with purple and pink tissue paper for a great stained glass look. Includes complete assembly instructions. Measures 24" across when assembled. 12' electric cord with on/off switch optional for a little more. 40 watt lightbulb not included. Comes in Purple, Red or White!!! Star lantern with red background and red tissue paper.